Despite all its rhetoric to the contrary, the Interior Department is offering up 51,000 acres of oil and gas leases in the areas surrounding Bears Ears National Monument. Conservationists warn that fossil fuel extraction threatens priceless Native American artifacts, historical sites, dinosaur fossils and the southern Utah environment. The move comes just weeks after it was revealed that mining and extraction interests played a primary role in determining the new boundaries of Bears Ears and Grand Staircase-Escalante monuments. Today, officials will auction off 51,000 acres of land near areas previously protected under the Bears Ears monument boundaries. 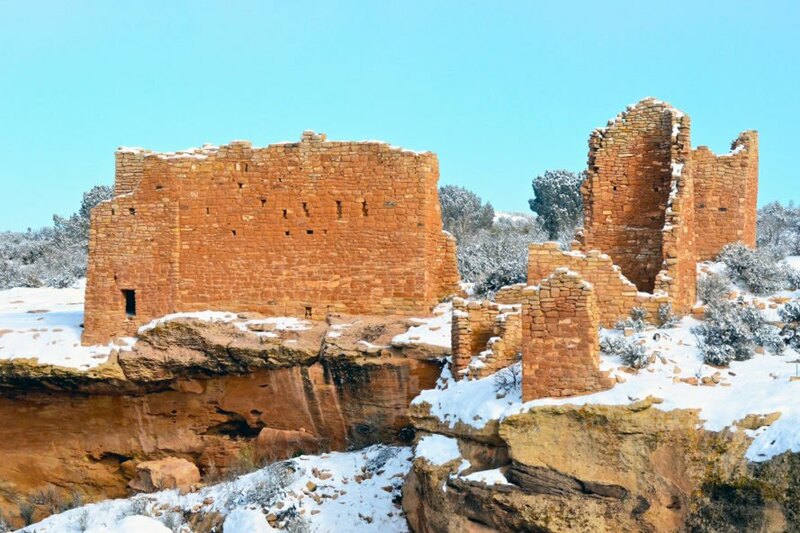 It also opens extraction near Hovenweep and Canyons of the Ancients monuments, and the cultural rich Alkali Ridge area. “BLM’s ‘lease everything, lease everywhere’ approach to oil and gas development needlessly threatens iconic red rock landscapes and irreplaceable cultural history in the ill-conceived push for ‘energy dominance,” said Stephen Block, legal director with the Southern Utah Wilderness Alliance. Local officials cheered the move, saying it will help bring economic opportunity to the rural towns of San Juan County. However, when the region was opened to mining on February 7 this year, no one submitted an application for a plot in the area. Oil and gas developers also hold stockpiles of unused land they have leased from the government – less than 40 percent of leased land is actually under development in Utah. Despite all its rhetoric to the contrary, the Interior Department is offering up 51,000 acres of oil and gas leases in the areas surrounding Bears Ears National Monument. Conservationists warn that fossil fuel extraction threatens priceless Native American artifacts, historical sites, dinosaur fossils and the southern Utah environment. The move comes just weeks after it was revealed that mining and extraction interests played the primary role in determining the new boundaries of Bears Ears and Grand Staircase-Escalante monuments. Today, officials will auction off 51,000 acres of land near or previously protected under the Bears Ears monument boundaries. It also opens extraction near Hovenweep and Canyons of the Ancients monuments, and the cultural rich Alkali Ridge area. “BLM’s ‘lease everything, lease everywhere’ approach to oil and gas development needlessly threatens iconic red rock landscapes and irreplaceable cultural history in the ill-conceived push for ‘energy dominance," said Stephen Block, legal director with the Southern Utah Wilderness Alliance. Local officials cheered the move, saying that it will help bring economic opportunity to the rural towns in San Juan County. However, when the region was opened to mining on February 7th of this year, no one submitted an application for a mining plot in the area. Oil and gas developers also hold stockpiles of unused land that they have leased from the government - less than 40% of leased land is actually under development in Utah.